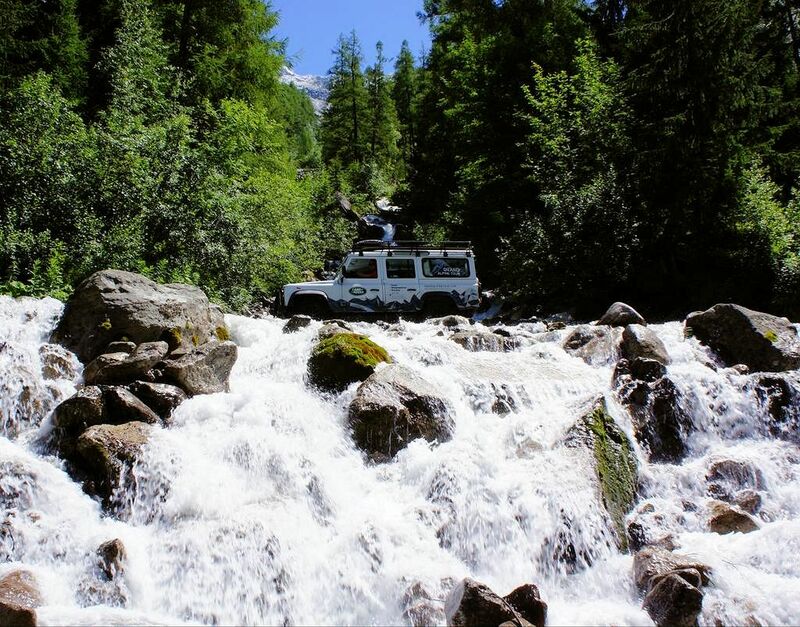 TODAY: examining the inevitable bureaucracy behind the upcoming German ‘foreigner vignette’, and catching up with the Land Rover/RGS bursary winners who are driving around the Alps. GIBRALTAR FRONTIER WATCH: a brief build up at 11:15 else quiet so far today. TOUR DE FRANCE WATCH: today Tallard to Nimes. If the Umwelt Zone badge is anything to go by the upcoming ‘foreigner vignette’ will be laborious and probably expensive to get hold of. All smiles: the Italian (l) and German transport ministers meet in Rome, in part to discuss the upcoming German ‘foreigner vignette’. See below. Costing ‘only’ €10 for ten days, €20 for two months and ‘around’ €100 per year, the up-coming German foreigner vignette has left many shrugging their shoulders. It’s a price worth paying to access the fastest roads in the world seems to be the general consensus. Leaving aside the potential for that price to shoot up – the Germans are not known for underselling – in reality, the cost is only half of the story. The key feature of the vignette that is likely to see it duck past Brussels regulators is that the price depends on a car’s emissions. This was tacitly acknowledged in the report by an Innsbruck University EU law professor published ahead of the meeting between the German and Austrian transport ministers last week. But whereas the flat fee charged for the Austrian vignette, for instance, means drivers can pick one up when refuelling at or around the border, the emissions differentiation of the German vignette will add layers of bureaucracy. Consider the existing system to get hold of the environmental badge needed to access the Umwelt ‘low emission’ zones in most German towns and cities which also varies on a car’s emissions. To apply from abroad drivers have to fill in a form at Umwelt-plakette, print and sign, and post it off along with the car’s registration papers and the €40 fee. They promise to process the order within 3-5 working days. If you need it faster, and apply before 13:00 Monday to Friday, there’s a same-day service for an extra €29. There’s also a Monday-Saturday anytime same-day service at €58. True, drivers can avoid that hassle by applying in person at a TUV (MOT) office. But, despite vague noises it will be available at petrol stations and border points, up until now there are only concrete plans to sell the German foreigner vignette over the internet. Furthermore, unlike the Austrian vignette which applies just to motorways, there won’t be any way to avoid the German equivalent – drivers will need it to drive on any road in Germany. Meanwhile. Despite widespread criticism that the foreigner vignette is discriminatory, the European Commission is predisposed to the idea because it endorses an (important to them) principle: that road users should pay extra to maintain and upgrade roads. That, anyway, has been the Commission’s attitude up until now, the transport section headed by the soon-to-retire Siim Kallas, a man known for being non-interventionist. Clearly, that could all change with the new Commission. With Brussels insiders unsure about who will get even the top jobs, it is not beyond the realms of possibility that the either of the two countries most opposed to the foreigner vignette – the Netherlands and Austria – will get the transport brief. 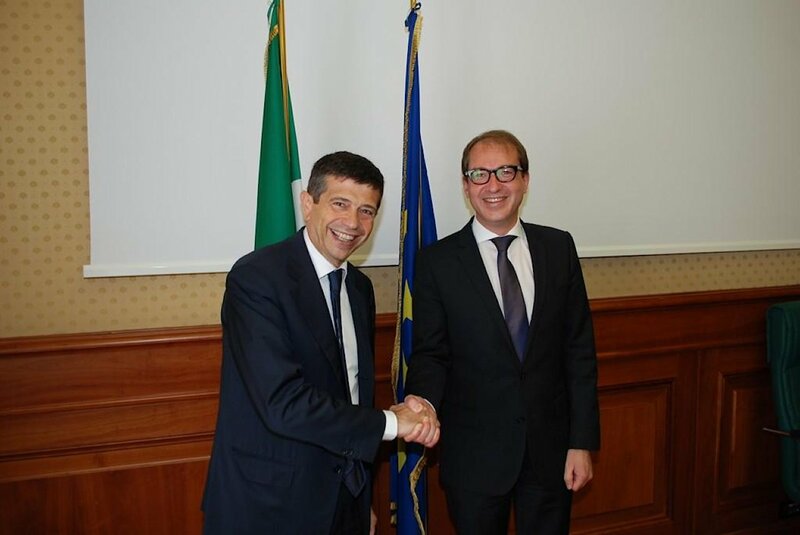 Straight after his uncomfortable meeting with the Austrian transport minister Doris Bures in Vienna on Tuesday, Dobrint headed to Rome to meet his Italian counterpart Maurizio Lupi (above, left). The Italians inherited the six month presidency of the EU on 1 July and transport is a key priority, specifically completing the single market in transport – which will raise eyebrows in the freight industry – and increasing investment in the strategic (TEN-T) road and rail network. Also discussed was the vignette. Lupi says he asked to be, ‘kept informed of the evolution of this proposal, which has had important repercussions in Italy where the road transport sector has considerable weight’, but, the slightly bowed, Lupi hardly looks unhappy about it, does he? ← Das Loop #4: Grimsel Pass. Best Views in the Alps?